I am a postdoctoral researcher at the INVETT Research Group, at the Computer Engineering Department, University of Alcalá. My research focuses on Perception, Object detection and Tracking and Obstacle Avoidance for intelligent vehicles and mobile robots in Dynamic Environments. My thesis was supervised by Dr. Manuel Ocaña Miguel. I have been working in research since 2009, in the RobeSafe and INVETT Research Groups, developing several projects in Robotics, supervised by Dr. Manuel Ocaña Miguel, and ITS projects, supervised by Dr. Miguel Angel Sotelo. In 2012, I did a 4-months internship in the IPAB (Institute of Perception, Action and Behaviour), at the University of Edinburgh, under the supervision of Dr. Sethu Vijayakumar. Before starting my PhD thesis, I received a MsC in Advanced Electronic Systems. Intelligent Systems in 2009, and a Degree in Industrial Electronic Engineering from the University of Alcalá in 2007. 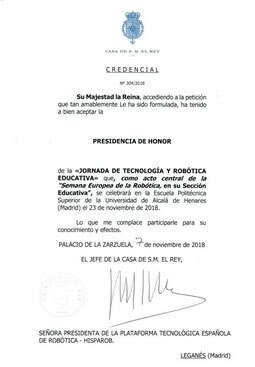 La Reina Letizia ha aceptado la presidencia de honor de la “Jornada de Tecnología y Robótica Educativa”, que celebraremos como acto central de la Semana Europea de la Robótica, el 23 de noviembre en la Universidad de Alcalá. 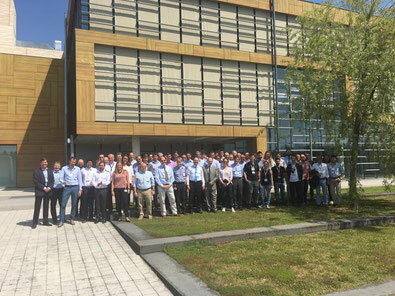 0n 18-19th of July the 1st AutoDrive review meeting took place in Neubiberg, Germany. Supply Chain’s and Work Package’s leaders presented achieved results, deliverables and milestones after the first year of the project to the reviewers as well as gave a brief overview of planned future actions and activities of upcoming 2nd and 3rd year of the project. After two intensive days of powerful presentations the review gave initial feedback that the project has achieved most of it’s objectives and milestones for the 1st period. 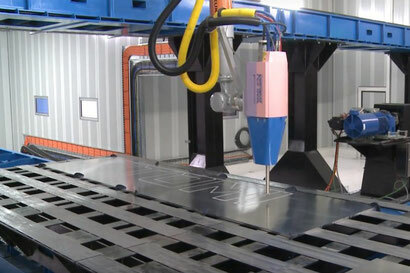 The world's largest 3D metal printer.